A Great Dane service dog tours the Chattanooga Amazon Distribution Center with his owner. Meet Riley, the first service dog to participate in the Amazon FC Tours program. He's a Great Dane, weighing 165 pounds. He toured our Chattanooga fulfillment center with his owners, Nancy and Byron Bartley. 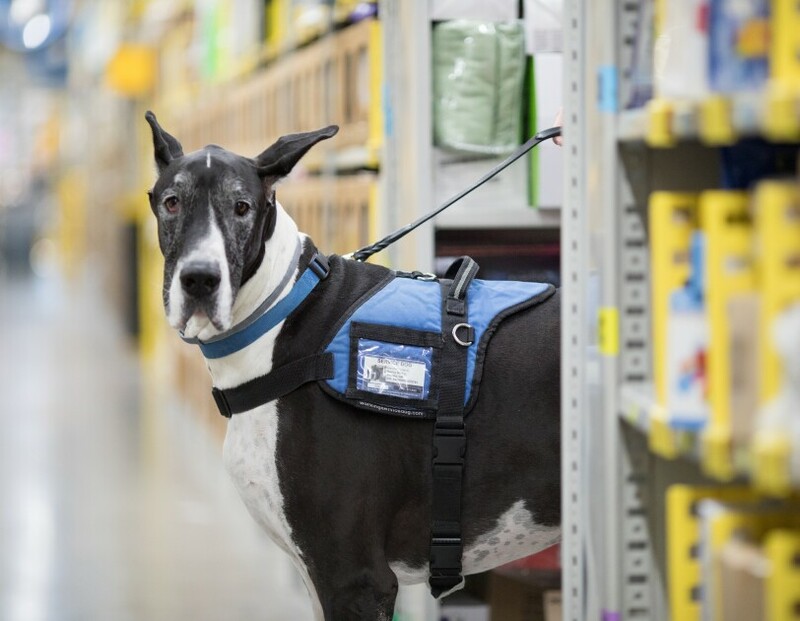 Riley, a Great Dane service dog, tours a fulfillment center with his owner. Riley aids Nancy with balance and mobility.“When Riley wears his vest, he knows he’s on duty. He has opened up the world for me. I appreciate him so much, and I am so proud of him,” said Nancy. 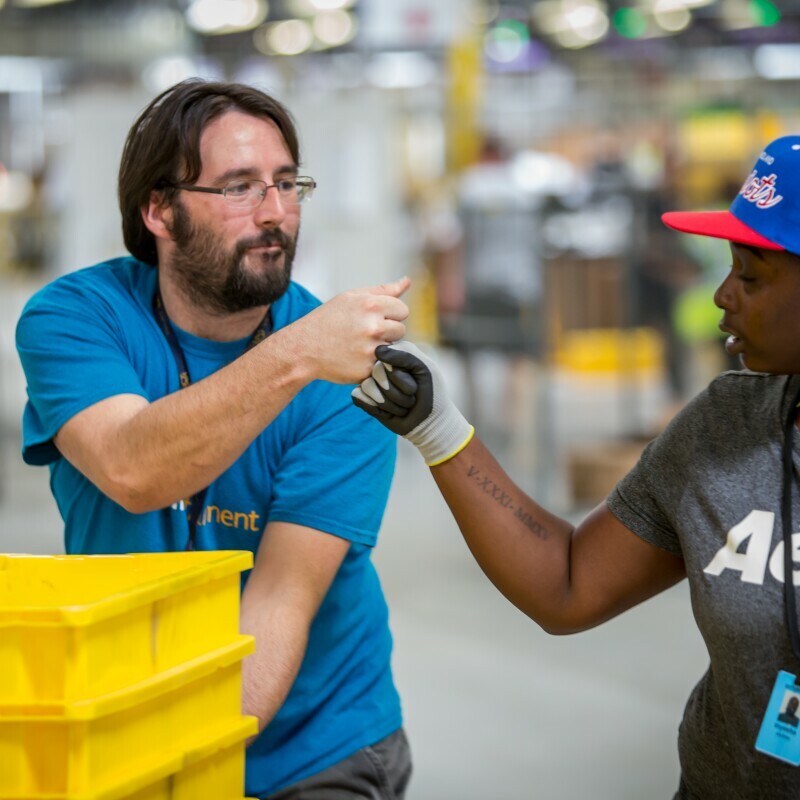 We offers public tours at select locations throughout the fulfillment network, with tour groups generally consisting of local community members, students from area schools, Amazon customers, and sellers. In 2017, nearly 600 tours were hosted for more than 12,000 visitors in the United States. 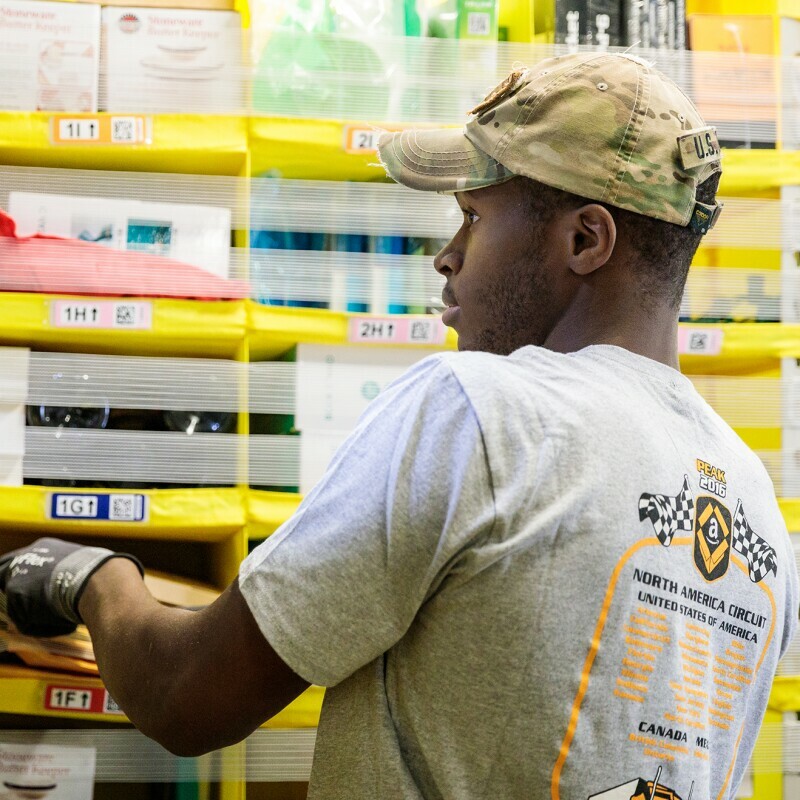 Learn more about fulfillment center tours.